The Samsung Galaxy Watch Active is a fitness watch that actively gives you advice, so you can stay ahead of the game. Stay sporty without having to always look the part. The Samsung Galaxy Watch Active features a discreet, lightweight design so you can comfortably fast-track your way toward the finish line. Everyone has their own approach when it comes to staying active. 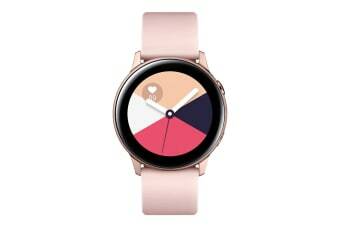 That’s why the Galaxy Watch Active comes with customisable watch faces that combine style and sensibility. So whatever your goal is there’s an expression that will match it. The simplest way to stay moving and motivated! Daily Activity lets you achieve your daily healthy goals by being active, exercising and sitting less. 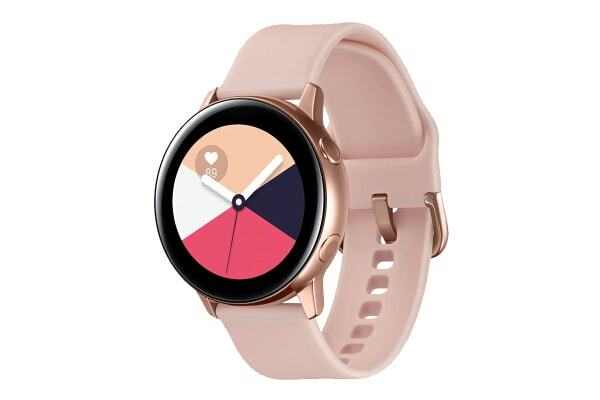 Galaxy Watch Active uses dedicated motion sensors to automatically track seven types of activity, letting you focus on enjoying your fitness. Furthermore, built-in GPS and 5ATM rating are supported. Know your limits. 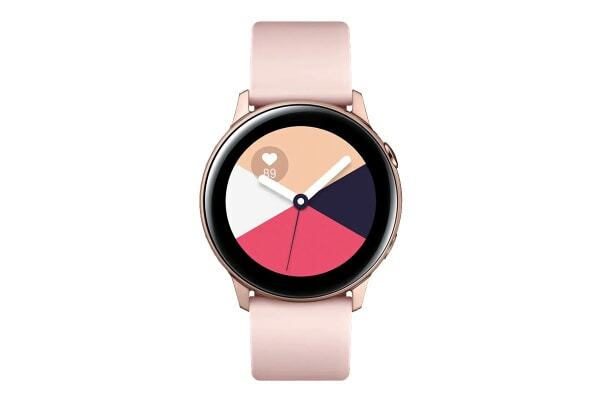 Galaxy Watch Active comes with an integrated heart rate monitor that will send instant alerts when an abnormal heart rate is detected. It can also read stress levels and you can take Breath Session to bring you back in balance. Check the difference in stress before and after breathing. A device that watches over you overnight! Galaxy Watch Active tracks your four stages of sleep so you can be on your way to a full night’s worth of rest. You’ll wake up the next morning with a clear rundown of just how deeply you spent the hours. Keeping you connected, day or night. 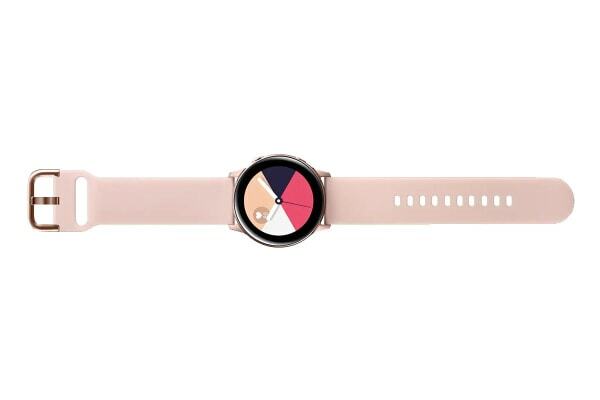 Galaxy Watch Active lets you send customisable replies using speech-to-text, emoticons or its intuitive keyboard while your phone is charging on your night stand. Reliability that goes the extra mile for you! Galaxy Watch Active keeps track of your daily activities for over 45 hours on a single charge. It features innovative “Wireless Power Share” to ensure you’re powered up and ready to go in no time. Customised for your convenience! With One UI, Galaxy Watch Active intuitively minimises clutter and instead focuses strictly on what you want to see. Now you can instantly check what you need, whenever you need it. Note: May not be compatible with Samsung Pay in AU/NZ due to global stock variation.